You may have pictured a fire running rapid or even went back to a childhood memory when you saw those 3 basic yet alarming words. 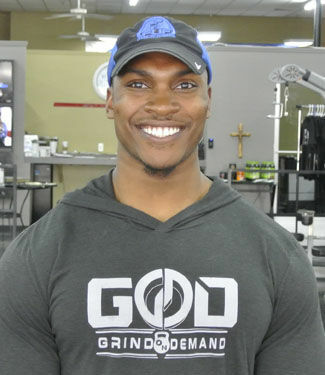 My name is Tre Stewart, and I'm an owner at Flex Up Fitness! Here are 3 keys to getting your fitness journey started or revamped using simple yet effective methods! -Procrastination will rule the world... one day. Get away from waiting and start doing something NOW, whether it's walking or joining the nearest gym. The first step is taking action of any kind! -Old habits die hard... but they definitely should die. Most people fall off the wagon once they get started because they jump in cold-turkey and panic after a week of no sodas, sugar, alcohol, cigarettes, or taste buds. Shaving the corners off a square will eventually make a diamond! Cut your intake by half instead of all, and continue this cycle every 2 weeks to help both your body and mind adjust! -Once you've set yourself on pace towards your goal, you've got to keep it rolling. Your car tires may not be bulletproof, yet they don't stop at every pebble on the road either. Distractions happen and you'll find yourself falling off the wagon occasionally. Just remember, it's not the end of the world. The show must go on. Stick with it!